Great Stuff with Gene Skinner Saturdays beginning at 8 pm central. ****Celebrating 12 Years on the air, broadcasting from the Upper Midwest! ****Check out the 'Listen Live' links here. ****Available on Tune-In and our new WOW Radio app. To use Tune-In, you can download from the appropriate app store or listen here. To download and listen with our new WOW Radio app, please download here. ***Time checks are Central Time Zone United States of America. 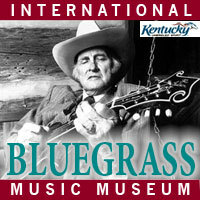 *** Tim White Bluegrass Show joins the WOW Radio family March 2nd! ***Please use www.wowradio1.com, or www.wowradioonline.net to access this site. Thanks for listening to WOW, The Radio Ranch! 'Country Gospel' with Pastor Ed Brady is now 2 hours, starting at 7 pm Central.